With vulgar humor, ludicrous action sequences, and colorful characters, the Saints Row series has been a great example of how to make a game that is focused on the player having fun above anything else. Saints Row IV continues this trend in glorious fashion, giving players the opportunity to really go all-out crazy via insane super powers, crazy weapons, Keith David as himself, and ample amounts of dubstep. 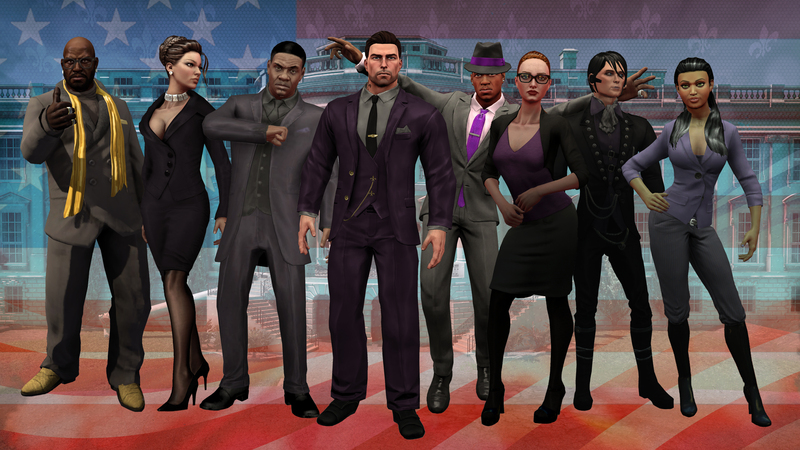 Saints Row IV starts off with the titular gang seeking to do more than just be a popular group of puckish rogues who rob banks for fun and party all the time. One successfully disarmed nuclear missile later (done to the tune of Aerosmith's "I Don't Want To Miss A Thing"), your character, as leader of the Saints, manages to get elected President of the United States. Your presidency is short-lived, as the world is attacked by an alien overlord named Zinyak, who seeks to conquer humanity for some diabolical purpose. Shoved into a digital representation of your home city of Steelport, it's up to you to break free of the system, rescue your crew, and take out Zinyak. 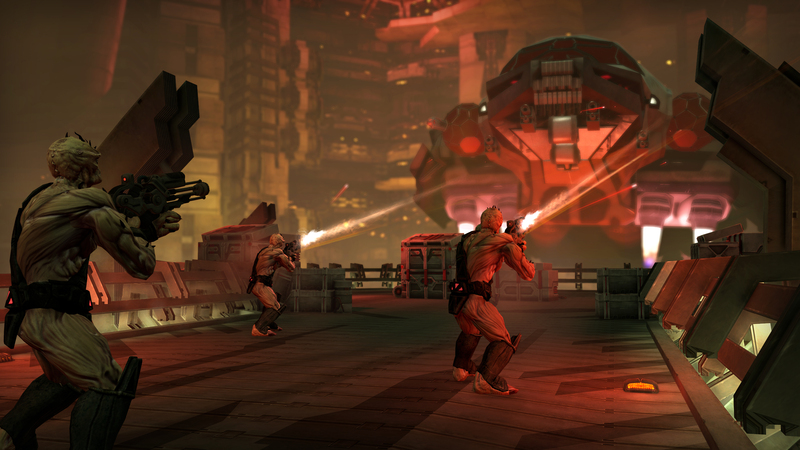 Instead of a crime drama like its predecessors, Saints Row IV's story feels in many ways like a love-letter to cheesy action/sci-fi movies mixed with clever parodies of popular games like Metal Gear Solid and Call of Duty. Its action-comedy narrative does an excellent job of balancing humor, over the top combat and even bits of character-focused drama very well and you'll quickly grow to love the interactions between each of the characters. From Zinyak's melodramatic speeches to Keith David's deadpan commentary, there's very few moments that won't elicit a chuckle while you play. 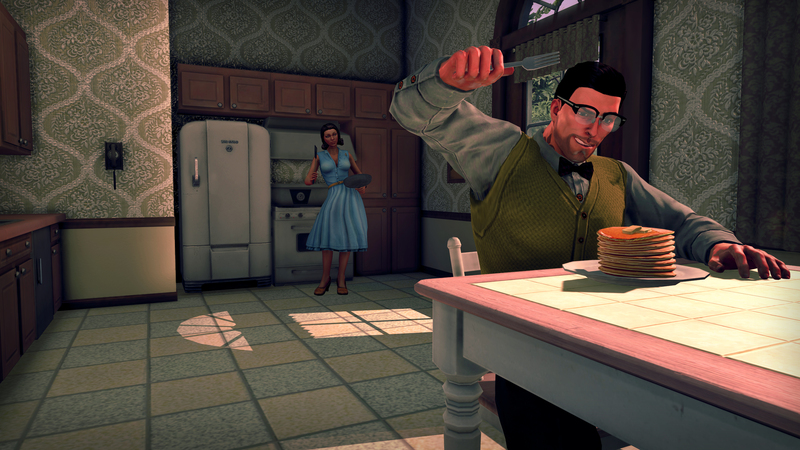 And despite some of the ludicrous situations you may find yourself in, such as battling a gargantuan soda can monster or button mashing through a pixilated homage to Streets of Rage, the outlandish parts of Saints Row IV doesn't ever feel like it gets in the way of The Saints' quest to save humanity. 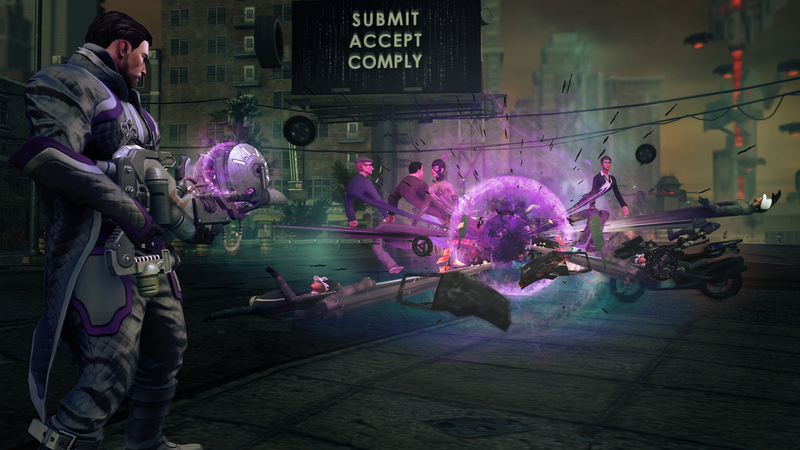 Saints Row IV's eccentric premise has given Volition the chance to introduce the most interesting new aspect for the series - crazy super powers for the Saints. You'll start off with simple abilities like being able to sprint at high speed and vault your way up buildings, but your superhuman arsenal will grow to include freezing enemies and smashing the ground with earth shattering stomps. The addition of super powers allows you to experience the game in a different way that you'd expect from a sandbox shooter - Saints Row has fully abandoned its roots as a GTA knockoff. 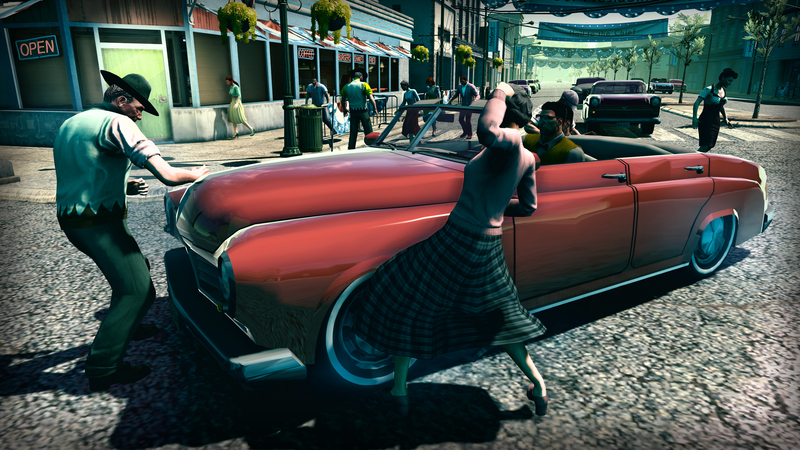 Sure, you're still able to hijack cars and shoot enemies with a gun, but doing so isn't as fun as leaping and gliding across the cityscape. That's probably the only real downside Saint's Row IV's super powers; you might not feel much incentive to customize a sweet ride when you can jump around, nut-punching enemies into high orbit. That said, you'll probably stick to one or two favorite super powers, as some are much easier to get a grasp on than others, like the ever useful freeze blast that's a straightforward attack. There are also times where the display has difficulty keeping up with the action when you're dashing everywhere while a dozen different aliens all shooting everywhere at once, so be prepared to deal with the occasional dizzying fight where it's hard to tell what's going on. Thankfully these moments are rare and brief. In the event you do want a break from setting people on fire, Saints Row IV provides you with an impressive armory of classic and weird alien gizmos. Alongside the usual gamut of pistols and rifles, you'll have access to laser shotguns, the head-popping "inflato-ray" and the ever enjoyable Dubstep gun - which can be upgraded to have very explosive wubs. Many of your weapons have alternate costumes, giving you a chance to personalize your arsenal by turning your weapons into visual knock-offs of sci-fi classics, like the machine pistol from Robocop or Han Solo's blaster from Star Wars. 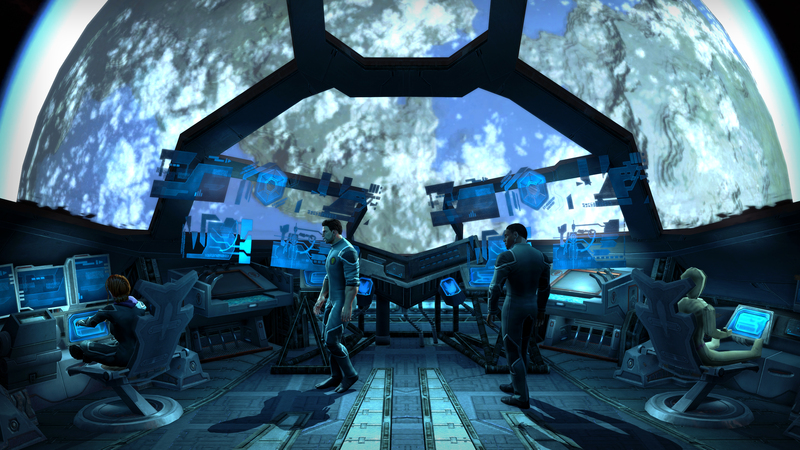 For most of Saints Row IV, you'll be exploring the sandbox of Steelport, which is still absolutely loaded with things to do. 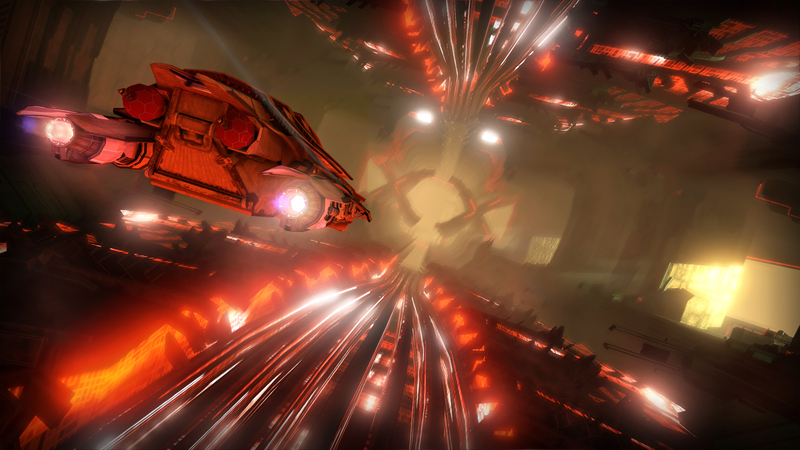 You can fly around in a hijacked UFO, hack stores and locations, speed through digital raceways created from glitches in the program, or take the fight to Zinyak's forces. The ginormous amount of side missions and quests keeps the game fresh, and you are incentivized to explore the digital world of Steelport with tons of collectibles and hidden bonuses. Plus, you'll rarely find yourself lacking options over how to accomplish a particular goal. 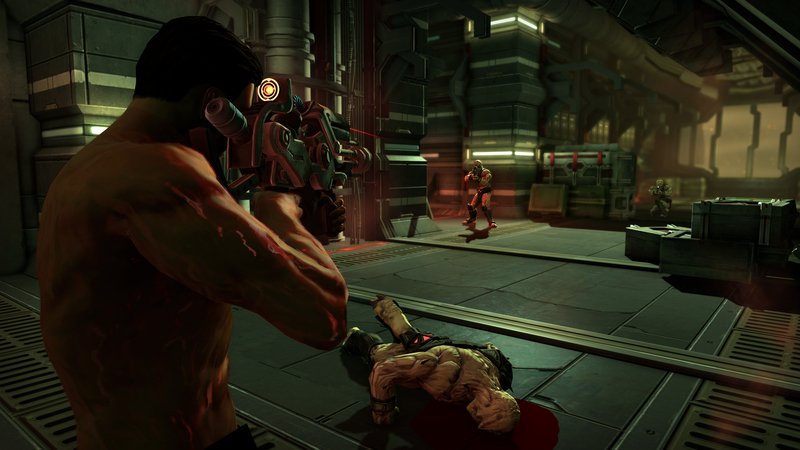 When it comes to clearing out enemy flashpoints, for example, you could run in and beat everyone to death with a bat, snipe them from afar with a disintegration rifle, or use your superpowers to throw them around like ragdolls with life-draining telekinesis. You could even just say "hell with it" and go take on one of the many other activities available instead. The flexibility of having both super powered and mundane methods of travelling or fighting ensure that you'll almost always have a choice in how creative you'd like to be with the chaos you cause. And if you do need take a quick break from all the mayhem, you can hop out of the simulation to talk to the other Saints or play a collectible text-based adventure game. In a clear jab at Mass Effect, you can even romance any of your crew if you're looking for some love in this crazy world. Well, except for Keith David. 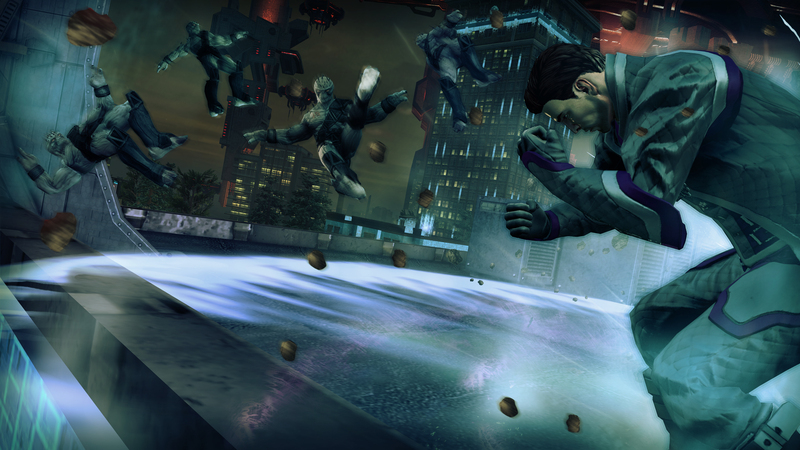 Bottom Line: All put together, Saints Row IV is a fantastic game, keeping up the series' tradition of giving players a wide open world and the tools to go absolutely bonkers within it. It's hilarious, it's action-packed, and most of all, its fun to play. 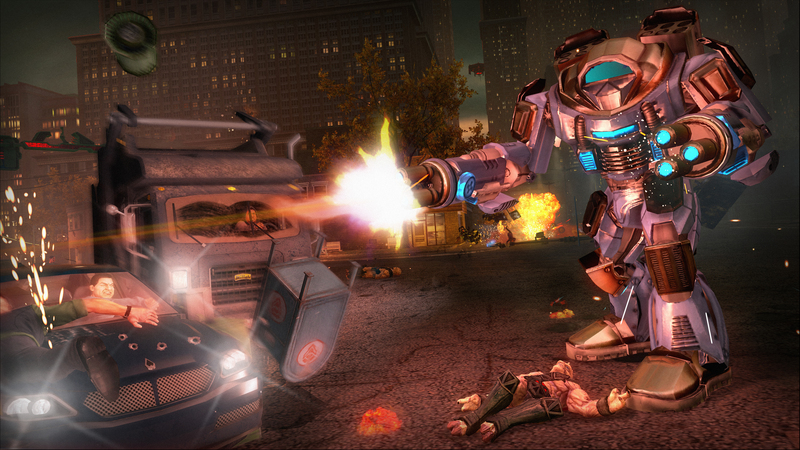 Recommendation: Saints Row IV is ludicrously good, and you should definitely check it out. Now drop the bass!